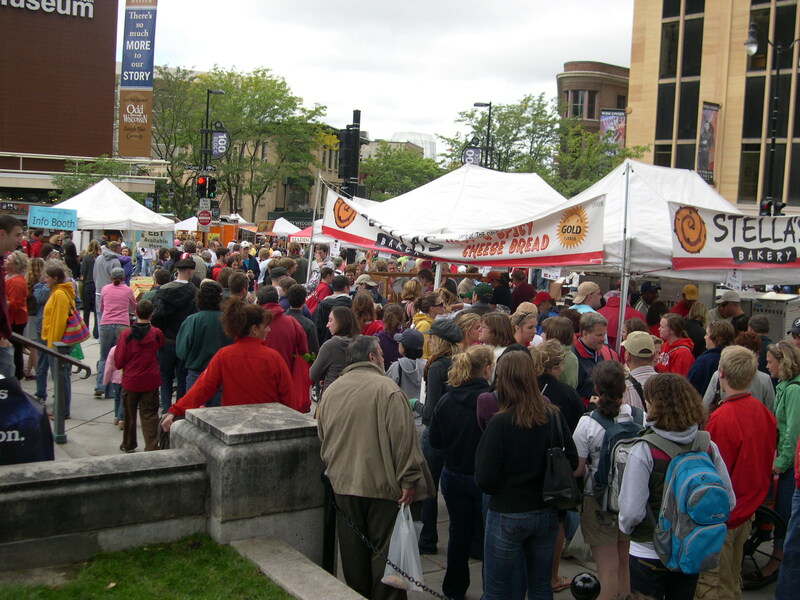 I couldn’t believe how many people were at the farmers market today! All the college kids are back in town, since school starts this week, so the crowds were a little crazy. We didn’t buy much because we have lots and lots of tomatoes, peppers and onions in our garden at home, just waiting to be canned into salsa and tomato sauce. 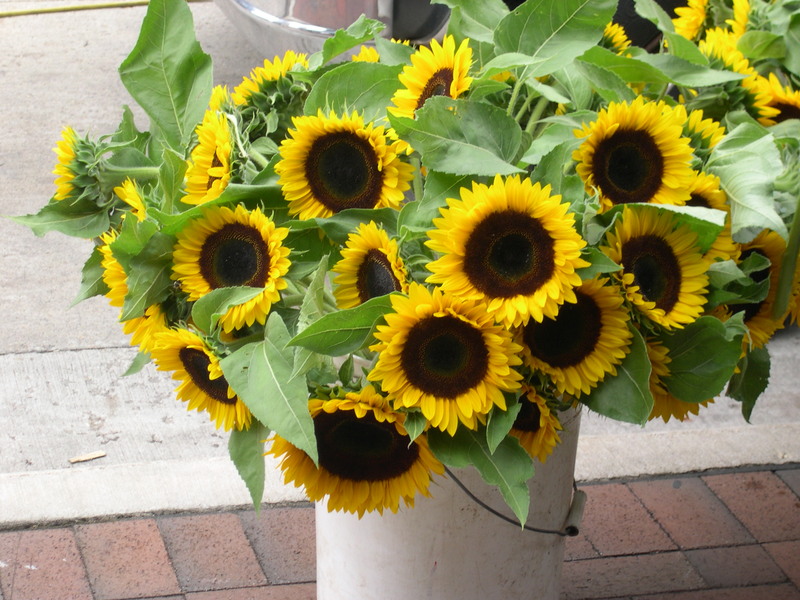 I love sunflowers, but every single year, I forget to plant seeds. 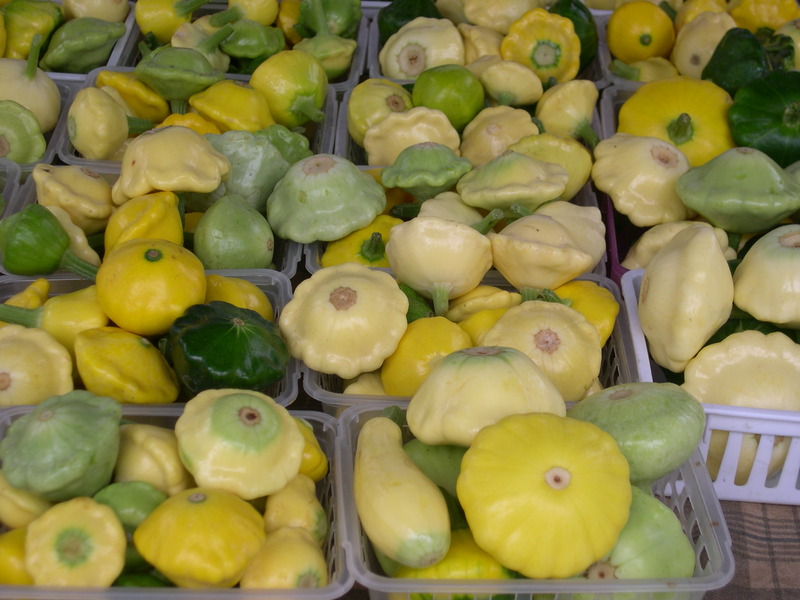 So I always admire them at the market. 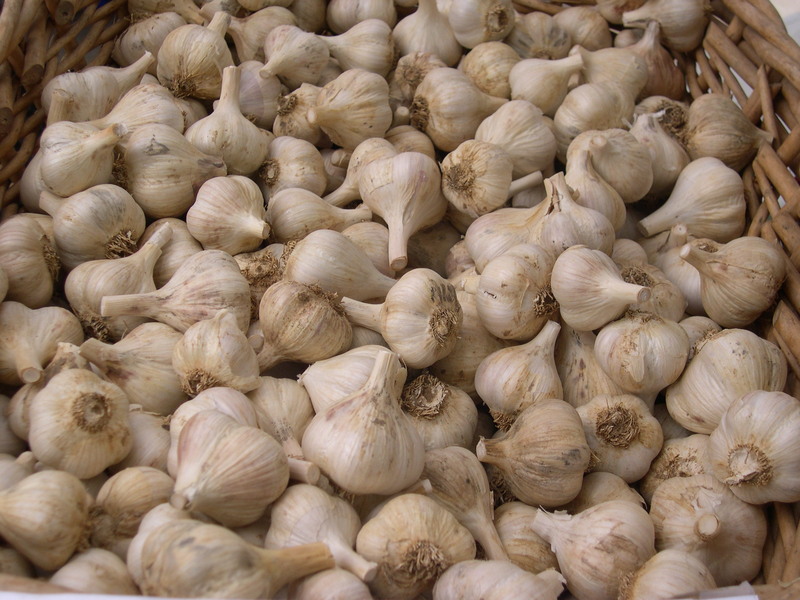 anyone need a huge pile of garlic? 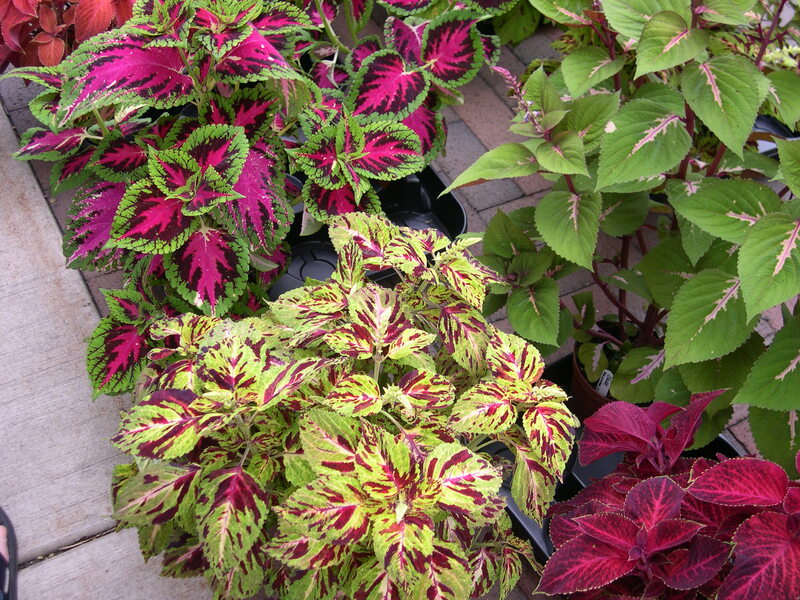 I love the vibrant colors of these coleus plants! A monster cookie from the Amish bakery is always yummy, but this time, they had BIG monster cookies, which were almost as big as my head! 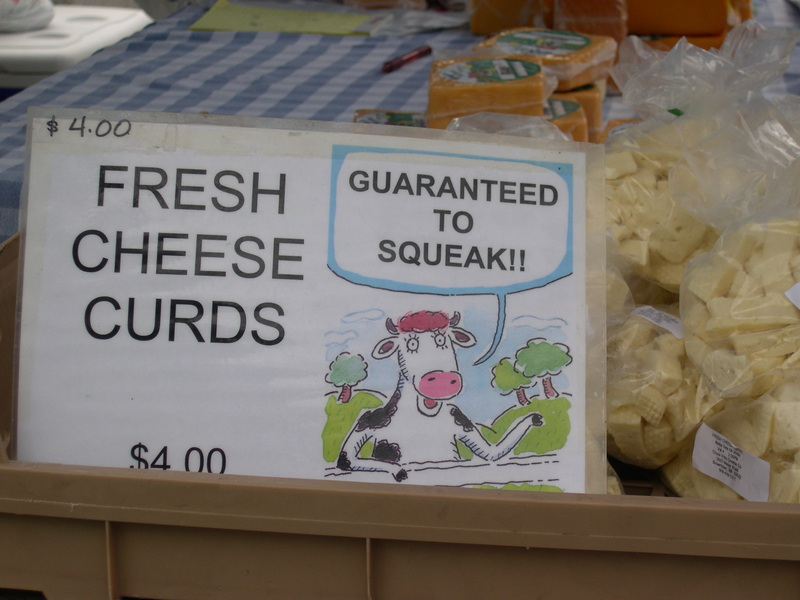 You can’t have a farmers market in this state without squeaky cheese curds, and this vendor guaranteed them! They are mild and firm and actually squeak when you bite into them. Great people watching, so many goodies, nice fall weather. Such a great way to spend a Saturday! It all looks delicious! 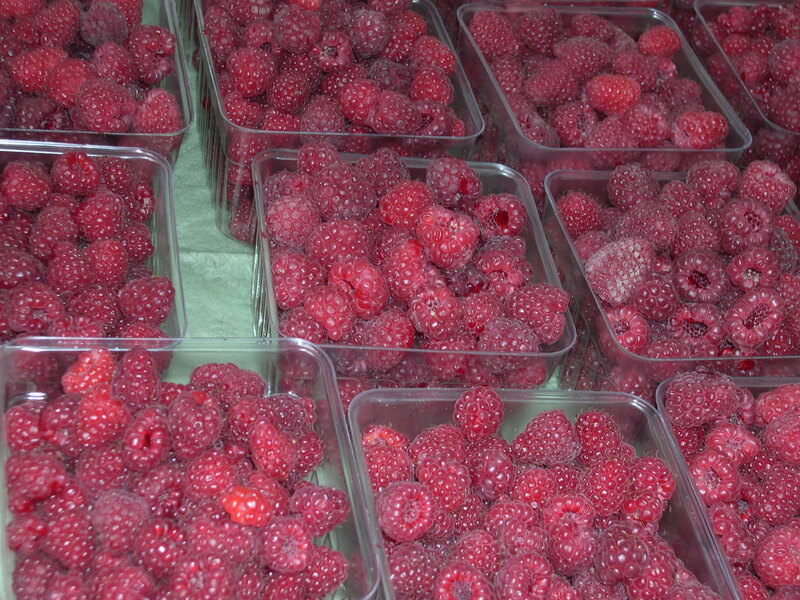 I love fresh produce – I can’t wait till raspberries are in season here. 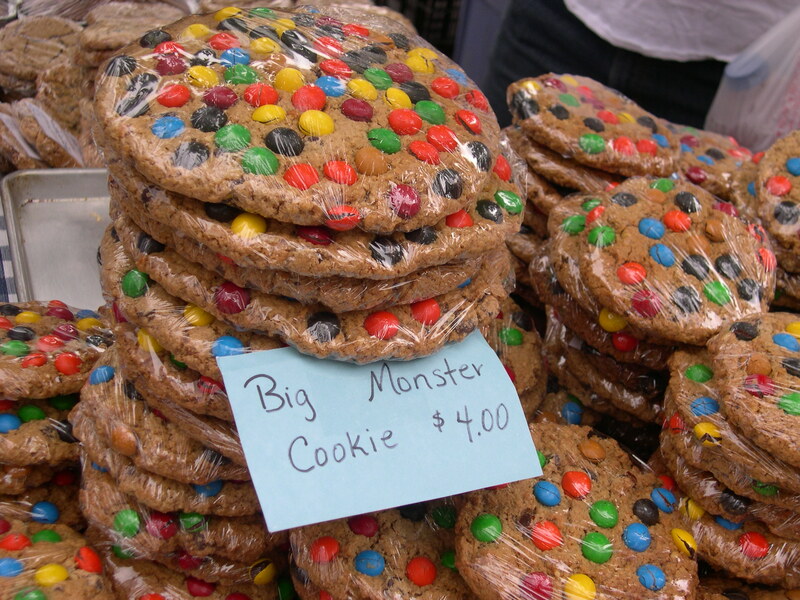 Those monster cookies look awesome!!!!! Everything looks wonderful…even the crowds of people…it must be so much fun to go! 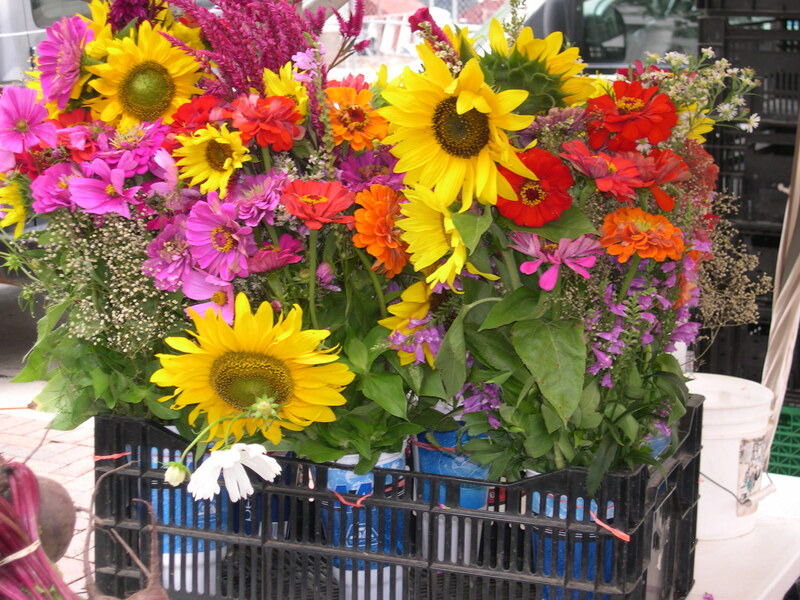 Looks like the farmers market was a fun time! WOW everything really loooks great and sooo yumiie! Thanks for sharing this with us…i really enjoyed the eye candies. Hope you had a good weekend and love to you! Everything looks so fresh and yummy.. That’s a funny label on the cheese curd, I’ve tasted cheese curd before, but I’ve never heard it squeak. LOL Looks like a great way to spend the day.